If you’re in need of help with your home’s title in Baltimore, you need an experienced Baltimore title company to help you navigate the sometimes confusing waters of home titles and title insurance. American Home Title Group is here for you. As a homeowner in Maryland, you want to make sure your home’s title is free of encumbrances. As a home buyer in Maryland, you want to know that the home you intend to buy has no title problems. And while it might seem like a fairly simple process, verifying a home’s title is a difficult and time consuming process. Many hours go into research and examining records to find any potential issues with your Baltimore home’s title. This is one of the many areas in which we excel. Our researchers have many years of experience in verifying home titles, conducting exhaustive searches to ensure every possible situation is accounted for. Home title insurance is equally important for homeowners. Here, our Baltimore title company as well. We provide home title insurance for homeowners in Baltimore as well as in counties throughout central Maryland. We know how important it is to have peace of mind when it comes to your home’s title, which is what you’ll get with title insurance. For a free title quote from your Baltimore title company, click here! Do I Need Title Insurance on a Newly-Built Home? When you’re the first to build a home on a lot that was previously empty, it might seem like you don’t need title insurance, as there was no house their before yours. However, even though you were the first to build a house on the lot, the unimproved land may have changed hands several times before it came to you. 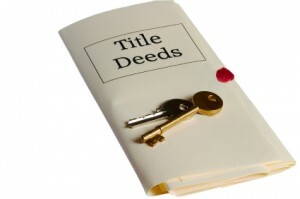 Title searches can uncover any liens on the property. Where could a lien on an improved property come from? One possible scenario is that a previous owner and builder intended to improve the property, but didn’t pay the subcontractors and suppliers. 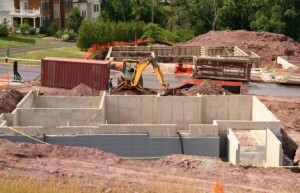 As a result, the subcontractors and suppliers could have placed a lien on the property. While you may not have been aware of this when you bought the property, a lender won’t finance your mortgage unless the title is clear. Another possibility is that there was a house on the lot at one time, but it was destroyed by a natural disaster, or removed by man-made means. Lenders also want to verify that they are insuring the correct property. The boundaries of unimproved properties may have become fuzzy over time, which could result in disputes with property owners who share borders with your property. A survey can determine the correct bounds of the property, which will allow the lender to insure the correct property. In summary, even if the property you’re building on is unimproved, you will need title insurance, as the property likely had one or more previous owners. American Home Title Group has been helping Marylanders with their title needs for over 25 years. In the ever-volatile real estate industry, a company’s longevity can be attributed to the quality of its work. With more than 120 years of experience in real estate and titles, American Home Title Group is your Baltimore title company ready to provide you with the best experience possible in every capacity. As your Baltimore title company, American Home Title Group is ready to assist you today with a variety of real estate needs you may have. Contact us now to begin your home titling process. Our phone number is 410-750-8500. To reach us via email, please send a message to info@americanhometitlegroup.com. Follow our blog and keep up with us on Google+, Facebook, and Twitter.